Flexible furniture is becoming a dire necessity for the space-starved urban dweller. Transforming furniture units are quite popular with the urban dwellers these days owing to the space problems. 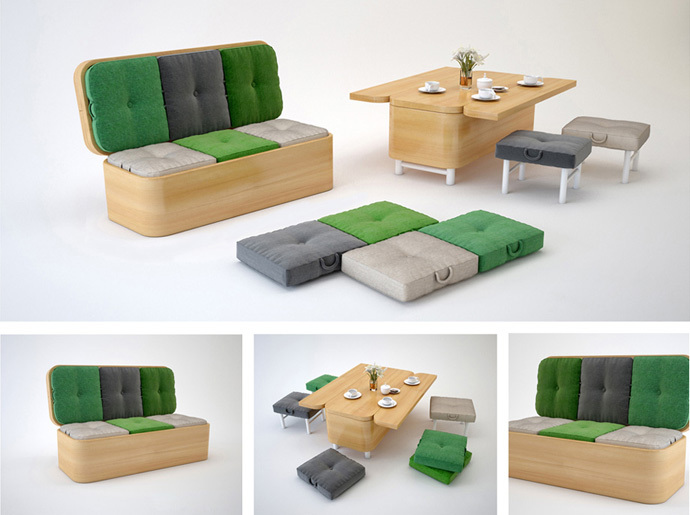 This convertible sofa can be easily transformed into a small dining table with six padded stools for your extra guests. 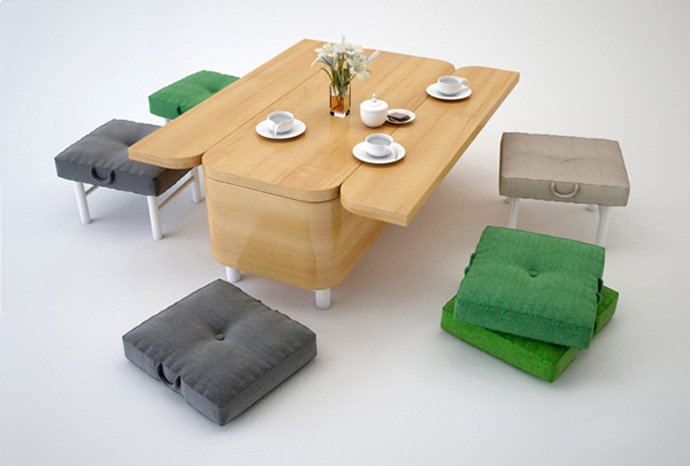 While the seat turns doubles as six padded stools, the backrest transforms into a countertop. 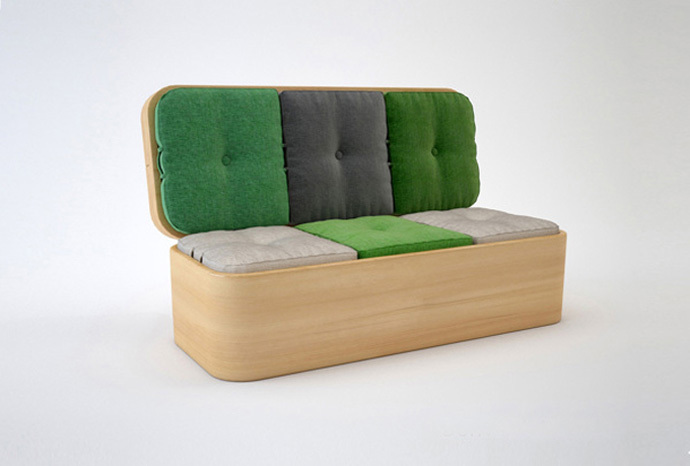 Designed by Julia Kononenko, this convertible sofa is a highly functional furniture piece if you cannot afford more space.